There is a profound wisdom in the ability to dance Tango. A wisdom that you acquire through training, by working on the way you hold your body, the way you move, paying precise attention to detail, developing a sense of awareness and careful respect in dealings with others at milongas, learning to passionately love the music that milongueros dance to, opening yourself up to music that expertly advises you on how to move in every beat. This wisdom does not stop there. Milongueras and milongueros, who have been dancing Tango for a long time, who have been developing a familiarity with other milongueros, most of them older, listening to them, taking their advice, learning from them, developing a wisdom, a knowledge, which is at the very least hard, if not impossible, and would ultimately not make sense to explain in words. Dancing embraced by a milonguera or milonguero is where Tango begins. It is in the dance of a milonguera or milonguero where you will find her or his wisdom. 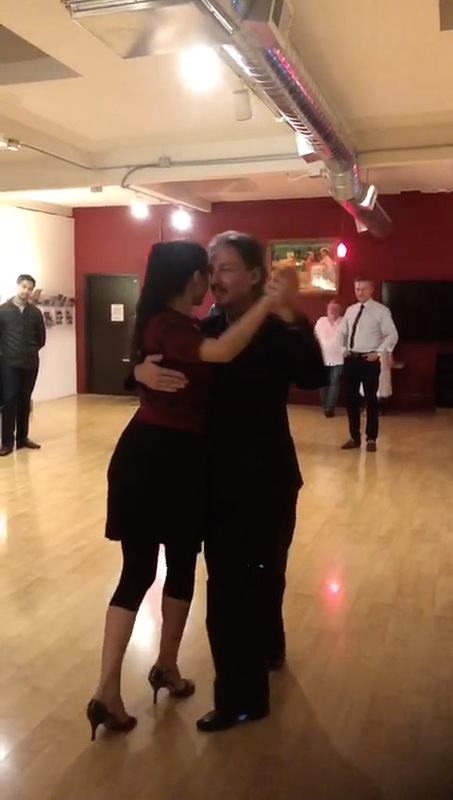 To learn to dance Tango, which is to learn all about Tango, is an unspeakable enterprise, in which words act mainly as signs that point you in the direction of what you need to see or feel.